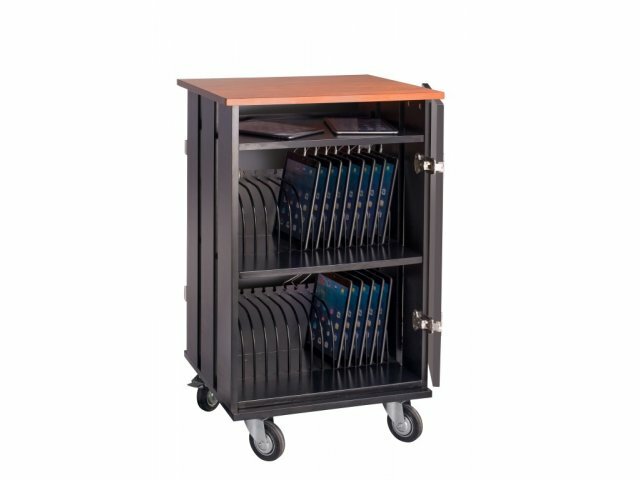 The OSC Tablet Charging Cart keeps 32 devices secure and ready to go whenever you need them. With individual compartments for each device, it's easy to keep things organized. 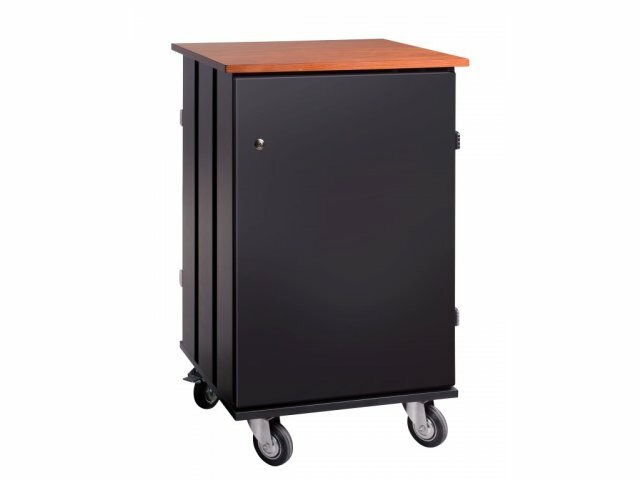 Recessed power panels, which can be accessed through the rear door of the cart, allow simultaneous charging, with easy access for plugging and unplugging as needed. 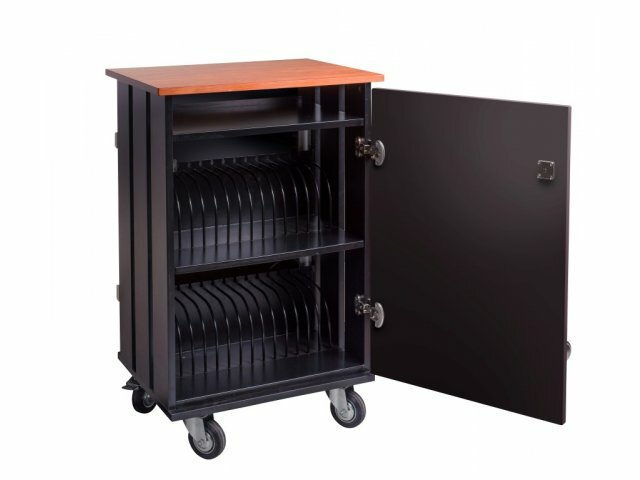 If you are in a hurry and don't have time to individually store all of your devices, or you want to keep a few separate, this tablet charging cart has an additional storage shelf at the top which allows you to slip devices in and out quickly. Locking wrap-around doors provide access to all tablets without getting in the way, so multiple people can retrieve devices comfortably at the same time. 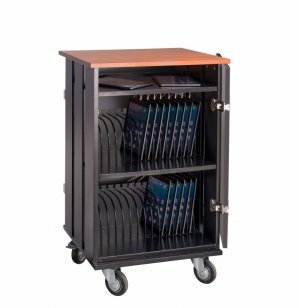 With slotted panels for ventilation and a 15-foot power cord for easy plug-in, these tablet carts are a great investment for classrooms and training rooms. Smooth Surface: High-pressure, thermofused, scratch-resistant laminate top surface. High Capacity: Includes 32 individual compartments for storing and charging your tablets and netbooks. Convenient Design: An extra shelf on the top facilitates quick storage and retrieval of additional devices or accessories. Easy Hookup: Recessed power panels include 32 outlets and keep cords safe and secure. 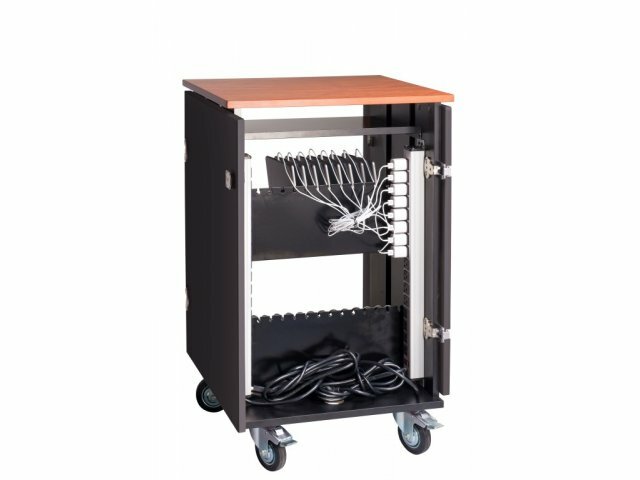 Secure Access: Locking wrap-around doors provide easy access to devices and wire management in the rear of the unit. Prevents Overheating: Slotted panels maintain airflow to devices inside. Smooth Rolling: Rolls on four 4" casters (2 locking).